Due to lack of funds, Thumper has decided to go back home to Kentucky. She didn't leave unhappy though. 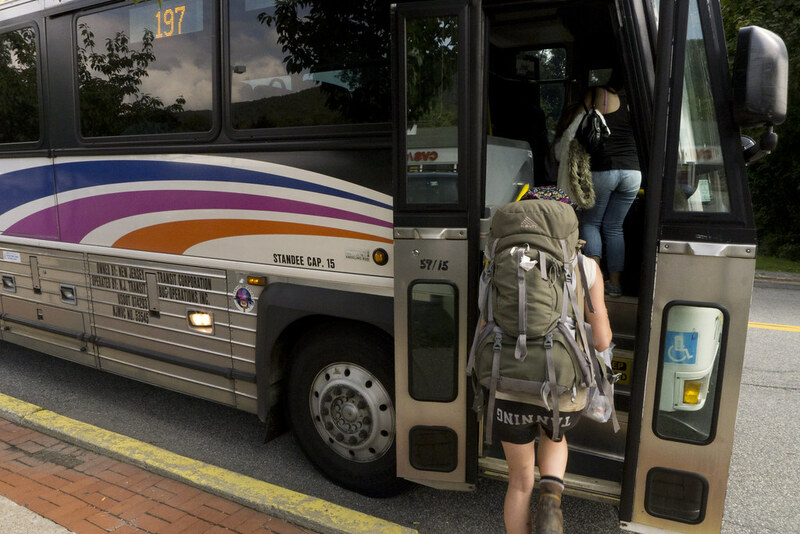 She got on the bus excited that she'd soon be seeing her family again after three long months in the Appalachian mountains. I met her and her sister (Sixgun Wild) on day two of my trip, so it's hard to imagine the AT without them. I've never been closer to people I've only known for three months. We had a hell of a time and a lot of laughs. They were a huge part in making this trip the best time of my life. I don't even want to think about how this trip would have been different if our paths didn't meet. I will miss you both so much! I know we'll see each other again. You are family now. Please don't forget to call or send me the occasional text.